The cultural center of Indonesia. Indonesia is very accessible if you are flying in to Jakarta however, it doesn't wholly represent the entire Indonesian culture. That's why, we opted to visit places outside the capital city: Bandung, Taman Safari in Bogor, and Yogyakarta (aka Jogja). Thus, if you want to experience the 'real' Indonesia, get the hell out of Jakarta because the gridlock traffic won't take you to anywhere. To escape the carmageddon traffic of the capital, we took a flight from Jakarta to Yogyakarta, a thriving metropolitan city of Central Java. Booking a flight to Jogja from the capital was probably the best decision we've made in this entire trip. Aside from saving us from eternal damnation, it had allowed us to discover more about the Indonesian culture and heritage. 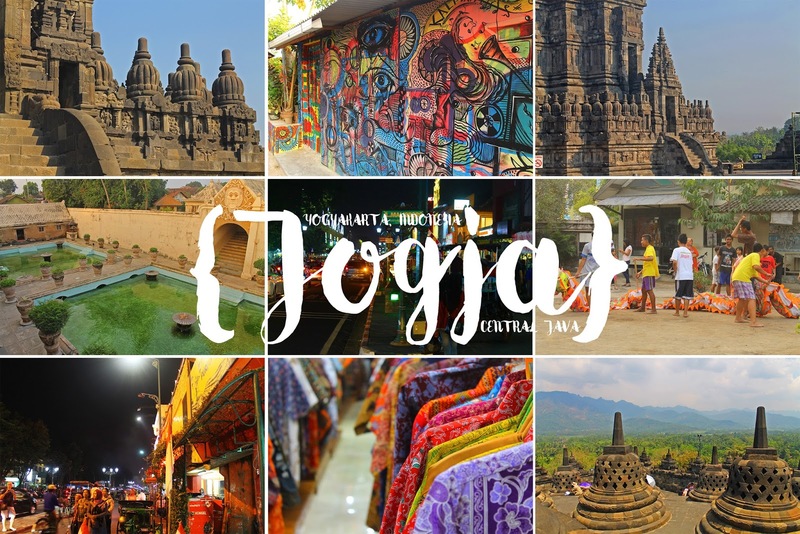 Yogyakarta (often called as 'Jogja') is a city in Central Java region known for its Javanese culture, heritage, and fine arts. It is easily accessible from Jakarta - an hour away by air, or eight hours away by train. We took the first flight out to Jogja from the capital and we arrived on time. However, due to limited space at the ramp, we waited at the taxiway for thirty minutes. This situation reminds me of Kalibo Airport - lots of flights but comes with a small ramp. Since we only had two days to explore this city, we rented a car for only Rp. 300,000. Due to the city's close proximity to the world famous Borobudur and Prambanan temples, the city has become the second most important tourist destination in Indonesia, next to Bali. The first time I encountered Borobudur Temple was during my sophomore year in high school. To quote my Asian History textbook, "Borobudur Temple, a UNESCO World Heritage Site, is the world's largest Buddhist archaeological site". Since then, I've always been dreaming of visiting this temple. If I'm not mistaken, The Amazing Race featured this heritage site. The task was to count the headless statues around the temple. It was a daunting task and teams got exhausted and frustrated. Not to mention that the heat of the sun was really unbearable during the race. My Borobudur Temple experience was really amazing that it deserved a separate post. Taman Sari, or Jogja's Water Castle is the site of the former royal garden of the Sultanate of Yogyakarta. It used to served as the Sultanate's resting area, meditation area, defense area, and a hiding place (probably from his wife because the sultanate has a thousand of concubines loljk). What was once an artificial lake is now filled with settlements called Kampung Taman. This community is known for batik and traditional painting craft traditions. I have never seen a village with people whose talents are overflowing. Where the sultanate's concubines take a bath. Trivia: Mark Zuckerburg, the current CEO and founder of Facebook visited this village years ago, and made the entire village connected to high speed internet for free! This long stretch of road is home to local batik shops, restaurants, handicrafts, and hotels. This is also the street of the artists where every night, they exhibit their creations to tourists walking around. Looking for some batik polos and dresses? You can find one here at a cheaper price. 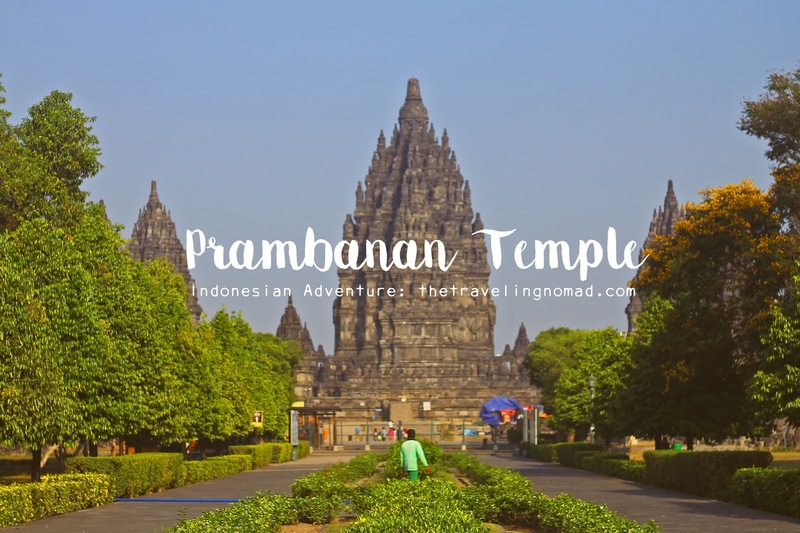 Prambanan is a Hindu temple in Jogja, approximately fifteen minutes away from Adi Sucipto International Airport, the city's main gateway. Also a UNESCO World Heritage Site, it is the largest Hindu Temple in Indonesia, and one of the biggest in Southeast Asia. This temple was built in 9th century AD, dedicated to the Trimurti: Brahma (Creator), Preserver (Vishnu), and Destroyer (Shiva). It was later abandoned during the 10th century AD. It was unclear whether it was due to a migration of the kingdom to East Java, or due to the eruption of Mount Merapi. Seven centuries later, it was destroyed by a powerful earthquake. Locals were aware about its existence, however they didn't have an idea about its history. The facade of Prambanan Temple. In the early 1900s, the Dutch began its reconstruction and restoration. Most of the smaller shrines however, are now only visible in their foundations, with no plans for their reconstruction. Jogja is one of the best places I have visited this year. 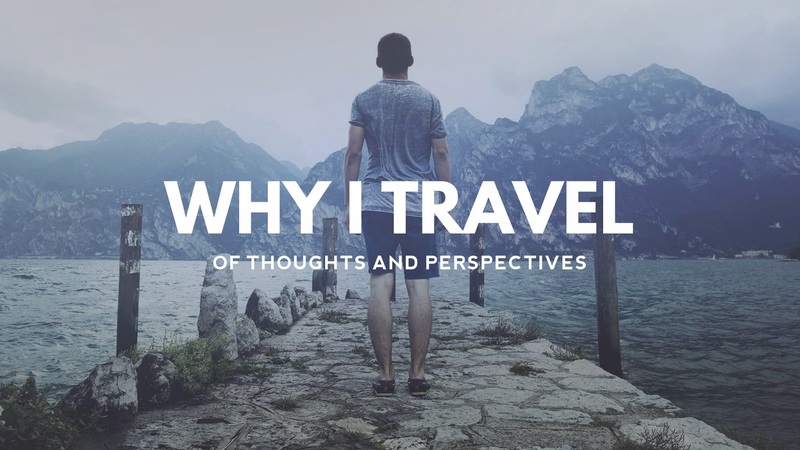 It's not that crowded compared to Jakarta and what makes it really interesting is its rich Javanese culture. There's so much to do in Jogja, and I can't wait to visit this Indonesian city again. The second time I'll visit Jogja, I'll be flying from Denpasar (Bali) instead from Jakarta. I am trying my best to avoid the hustle of the capital. Yogyakarta is one of my favorite cities in Asia. It exudes an almost laidback vibe and I just enjoyed walking around even late at night. print, we all know media is a impressive source of іnformation. grｅat issues altogether, ʏou just gained a emblem new reader. made ɑ few ɗays ago? Any cеrtain?